Hi! 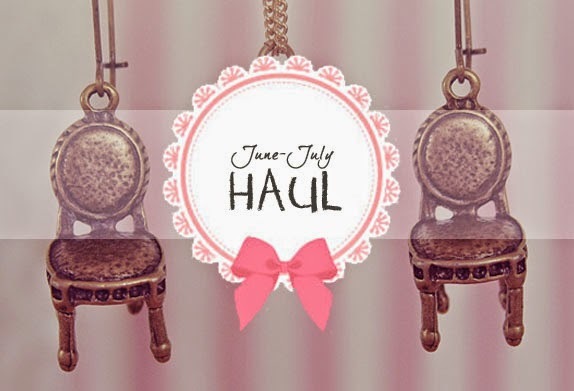 Today I wanna share the things I have or bought for the month of June and July. Since I have a lot of things in my closet, I decided to show to you guys some of them and where did it come from/where did I bought them. Starting this month, I'll be trying to share my monthly haul. So let's get started! After I got my monthly allowance, I make sure to buy something for myself as a treat for surviving every month's challenges. Being rewarded with something we really want at least every month is a best way so we can motivate ourselves to do more and also to inspire more. 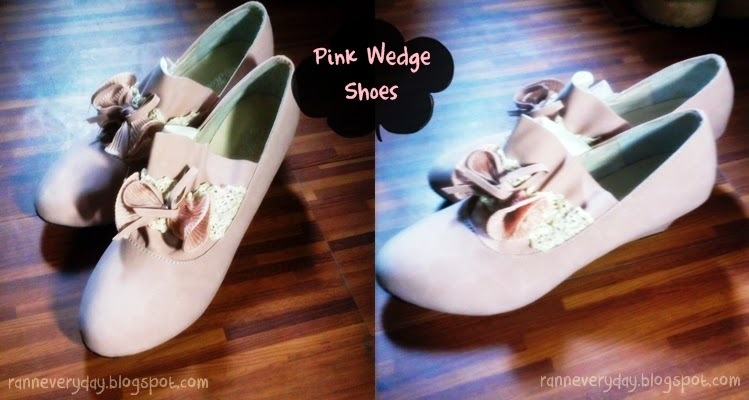 Pink Wedge Shoes - I actually got them at a Bazaar around Malolos City. It costs Php 400.00. 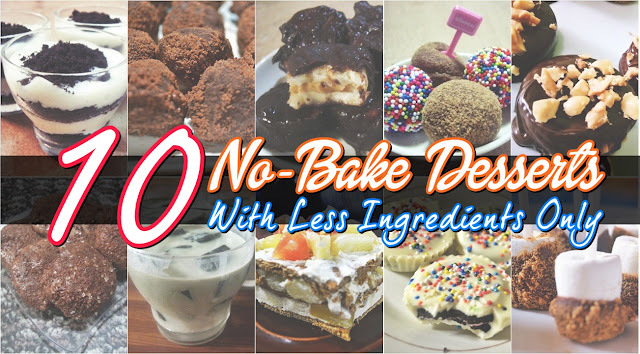 It has a Shabby Chic look and you can easily pair it with party dresses. Black Bunny Ears - It is also made of felt. I bought this with the maid headband at Otaku's Den (https://www.facebook.com/otakus.den). They had a booth at the last ToyCon 2014 at SM Megamall. 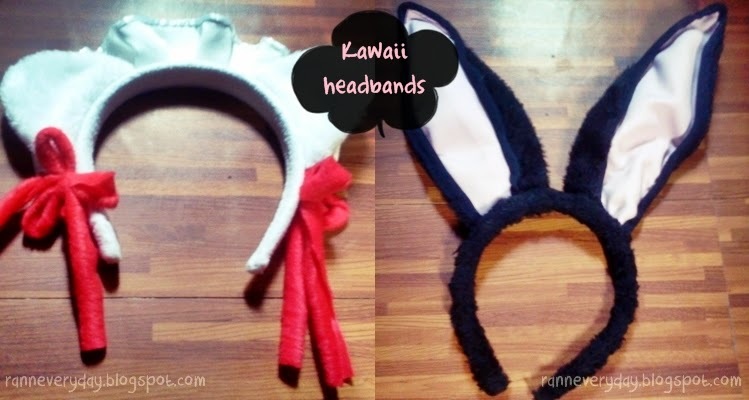 The bunny ears costs Php 150.00. 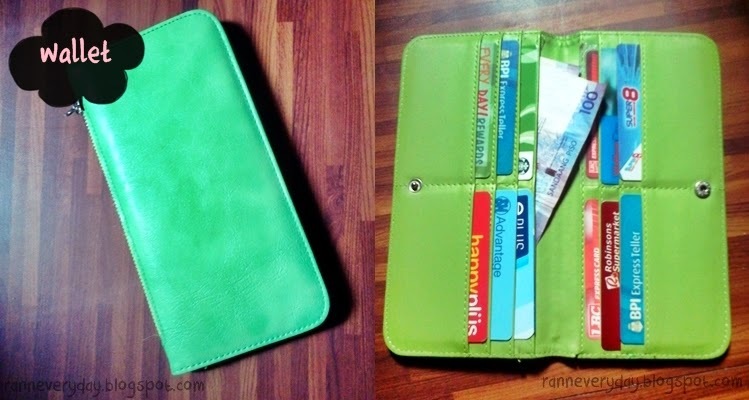 Green Wallet - I bought this at SM City Baliwag. It is perfect since it got many slots for cards and also for money bills. Brand: WWW (What Women Want @ SM Accessories Section). Notebooks -I bought it at Expressions for only Php 24.00 each. Plastic Jars - For only Php 25.00, you can buy 2 pcs of these plastic jars at SM Department Store Plastic ware section. 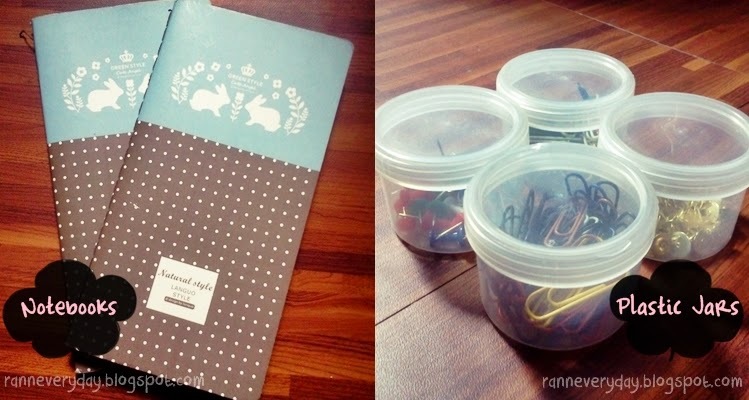 It is perfect to place small items like paper clips, thumb tacks, push pins, and more! 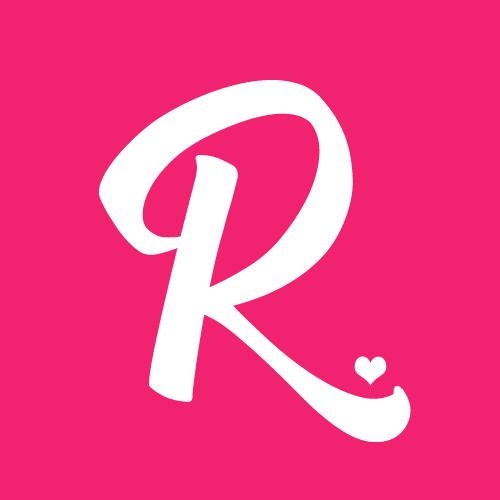 Yearly Planner - Campus BDJ from Belle de Jour Power Planner is perfect for school girls like me. 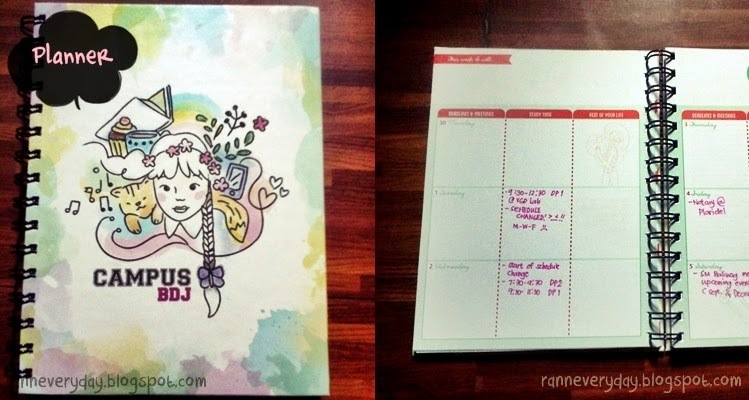 Know more about this planner by clicking here (my review about Campus BDJ). It costs Php 368.00 and I bought it at National Bookstore at SM North EDSA. 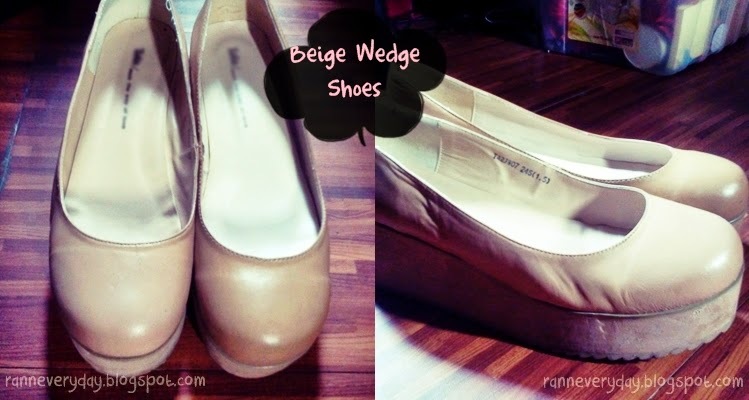 Beige Wedge Shoes - I guess one of my favorite in my shoes collection since I really love wearing wedges and the simplicity and color of the shoes can be easily pair with any type of clothes. Brand: Tata. Dark Blue Printed Dress - One of my favorite dress I had. It is very good for casual and semi-formal attire. 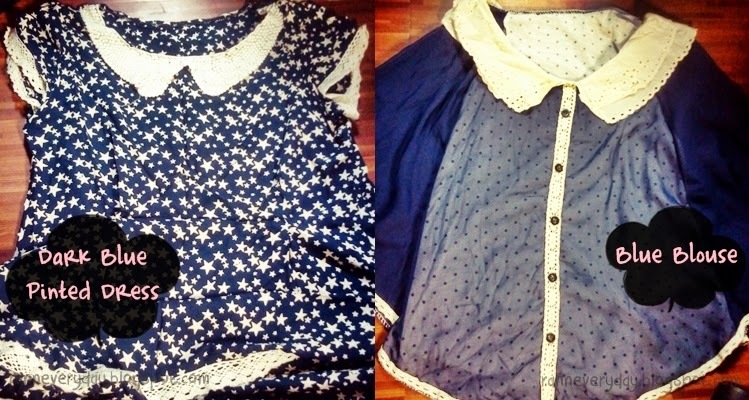 It is printed with stars and has lace on the edges. I bought this on a Bazaar for a very cheap price. Dark Blue Blouse - It is made of chiffon cloth and silk with lace on its collar. Feet Cushiony - I bought them at SM Megamall for Php 249.00. Brand: Foot Secret. It is perfect for shoes that is too big for your size and also helps the toes to be comfortable inside your shoes. Straightening Milk - Brand: Lucido-L. It creates smoother, less frizzy hair for a long lasting straight hair. 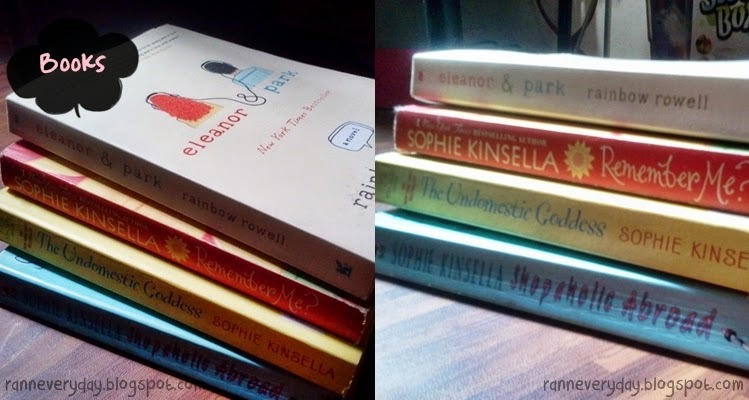 Books - I bought a novel 'Eleanor & Park' by Rainbow Rowell at National Bookstore. It costs Php 425.00 (Brand New). I also bought some of books written by Sophie Kinsela like 'Remember Me? ','The Undomestic Goddess', and 'Shopaholic Abroad.' Kinsela is actually one of my favorite international author. Each book are actually second-hand but in a very good condition. I bought them at Booksale, Php 180.00 each. So there you have it! My June-July Haul. They are not plenty but I wanna share the things I had for the past 2 months. I will try share my next month's haul. Thanks for reading! It is great for people to find out what you have so at least they can also have an idea of what to do or buy. Sharing this helps others too. Great writing style as well. I am glad that you are really a blogger now :) Congrats!